Jeff Moehlis: You’ll be sharing the bill with Joan Baez. Were you a fan of her when you were growing up? Amy Ray: Oh, definitely, for sure. And she’s been a mentor for us. Early on she really helped show us the ropes. We became good friends, and over the years have played every now and again with her, and kept tabs on each other and supported each other. Yeah, definitely a fan. She was someone who I listened to, and also had a really big fascination for the Civil Rights work that she has done and her politics and her pacifism, and her approach to things. She’s a force of nature. She’s been around a long time and has done a lot of really great things, and is quite a performer. I had her records growing up, and my parents had her records, and my sisters had her records. So they were around. JM: I’ve been listening to your music since your second album came out. What are your reflections on that particular album? AR: Oh, God! I still feel really good about that record. I mean, there are some songs on it that we don’t play anymore. For me, a couple of them are so overwrought. Like “Blood and Fire”, which had its place but I don’t relate to it the same way now. There are things about the record that feel sentimental rather than still valuable musically to me. But that’s the only negative. The positive is the way it came together and the production, and working with Scott Litt, working with R.E.M. And in that particular set of songs, the way they worked together, and the time Emily and I had spent on the harmonies and the arrangements for those songs. It’s still a record that I feel kind of set the tone for us musically, what the seed was that was planted that we were going to try to grow from. And hopefully we’ve gotten better as songwriters. We explore harmony more and more, and get better as songwriters as we go, so that we can grow from there rather than that being the pinnacle for us or something. But I remember that time really well. I remember all of the people that we worked with on it, just the way it felt and how exciting it was. “Closer to Fine” was, and is still, such a huge song as far as the way people respond to it. You know, Emily wrote that one, and it’s always been like the stalwart. But I don’t know, we don’t think a lot about the past unless we’re working on writing about the past. We’ve been working on a blog for Tumblr [http://indigogirlsblog.tumblr.com] for a while where we write about a year of our career every month. We started it for the year 1981 a while back, and that’s made us reflect quite a lot because we’ve have to remember what happened. I mean, we don’t write about the whole year exhaustively, but we have to remember something. So that’s definitely gotten us thinking about the past, and that record was one of the records that we wrote about a little bit, what it meant to make it and how we were feeling and all that. JM: How has your approach to songwriting changed over the years? AR: Well, back in those days, for me, I probably didn’t spend as much time as I should’ve on songwriting. I’m kind of one of those when-the-muse-hits-me-I’ll-write kind of people. I guess in the ’90’s I was still floundering in that way a little bit, and probably wasn’t as disciplined as I needed to be. And you can see it, you can hear it in my writing, I think, to a certain degree. I read a few books about writing and talked to some other musicians, and started making it really a mission to improve myself, and really become a better songwriter. Emily always held up more of the musical side of us, and I did a lot of business stuff. That’s kind of the way things were, and I just wanted to grow beyond that, to do it equally. I feel like maybe fifteen years ago or so I really started a totally different process, which was to sit down and write as many days a week as I can. So maybe five days a week spend two hours, three hours on writing. Rather than, like, “Hey I’ve got an idea for a song, I’m going to work on it”, and then not necessarily have that idea except once a week, or something. Because I think you’ve got to be in the room, you’ve got to be actively working on things for them to come to you. You can’t just think that things are going to fall out of the sky for you to write. I think they do every now and then. But you’ve got to be sitting in the chair, and working. So that was a big lesson I learned, and it really helped my process, and my process became much more disciplined after that. JM: There aren’t many music duos that have stayed together as long as the Indigo Girls have, at least while seemingly getting along with each other for the whole time. Do you have a secret formula for how you and Emily work together that let you stay together all these years? AR: You have to give each other room to express yourselves artistically. We write separately from each other, and that doesn’t mean that everyone needs to write separately. But that’s one thing that gives each of us artistic space. Because the ego needs its own space sometimes, you know? [laughs] I think that’s one thing. And I think we got lucky, too. We just have a certain chemistry and work together well. We’re very, very, very different from each other. We don’t hang out a lot together in our off time. When we started out we were very close friends, obviously in high school before we even started playing. Music kind of brought us together, and then the friendship sort of kept us doing it. Then it moved into its own realm of it being a thing itself, that was bigger than a friendship. A business, and an artistic endeavor that was growing and growing. We found ways to protect the relationship, and some of that was just giving each other more space, and being in different communities. If Emily wants to do a side project she does it, and if I want to I do it. We don’t worry about it. We don’t let it affect who we are or our egos, or anything. And I think we always prioritize Indigos, so if either one of us is doing extra things, we know, we trust that the other person is always going to prioritize for the good of the group. So everything’s kind of for the good of the group in our world. That’s what makes it work. 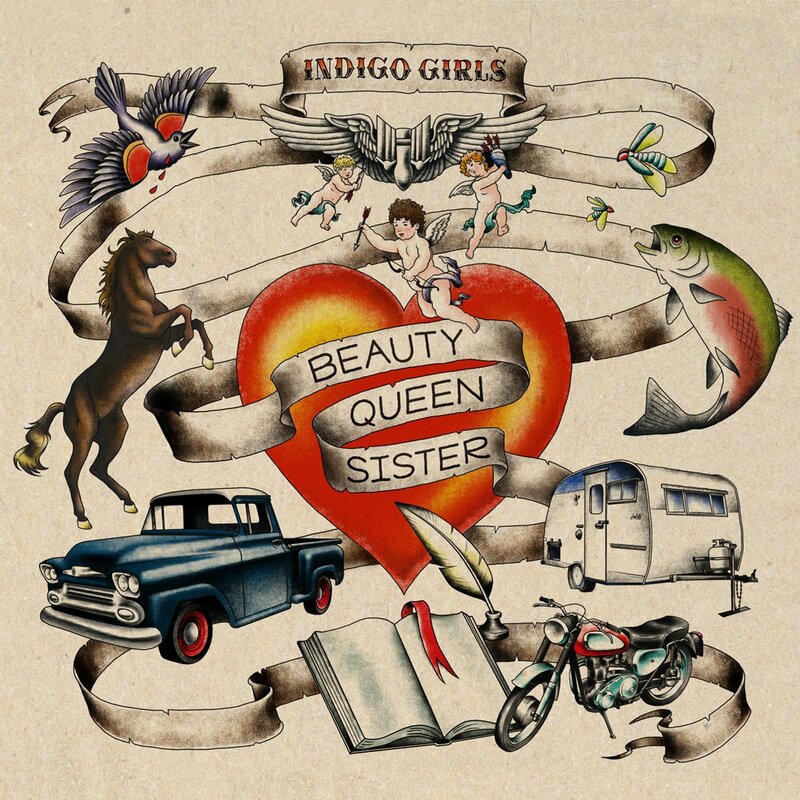 You can’t focus on your ego and fame, and wanting to be the “bigger Indigo Girl”, or something like that [laughs]. You have to always realize that it takes both of you, and that’s the magic. JM: Here’s a question that I always ask when I do these interviews, and some of the stuff that you’ve already said is relevant. What advice would you give to an aspiring musician? AR: I mean, it depends on what kind of music you want to play. That’s the context of everything. If you’re a singer-songwriter and you want to make records and go out and play, or if you’re playing rock or punk or country or folk or whatever or jazz, the thing that’s going to distinguish you from everyone else is going to be how good your songwriting is. So I think you need to spend as much time as possible on that. But if you’re a performance artist and you’re doing something completely different, and you’re involving multimedia or something, I think you need to come up with something that differentiates you from everybody else, and you need to get in front of as many people as you can get in front of and do your art. I don’t know much about the world of produced/sculpted pop music, so I don’t really know what the key to that is. I just know the key for people who want to do what we do, whether they’re playing rock or hip hop or whatever, that write songs and want to get out there and play live, and they want to have a long career. The most important things to our career have been attention to songwriting and never thinking that you’ve got it beat. You’ve got to keep getting better and better and better. And then you’ve got to tour all the time. You have to play live. You cannot get away with not ever building your base and your community, and to do that you’ve got to get out there and play. Basically, you have to create things out of nothing sometimes. You’ve just got to play in front of people and keep your chops up and create community around you. And then, always be looking out for the other person, too, and helping out and building allies and camaraderie. You don’t do it just to help you get further, but if you do it in the right way it will help you get further. JM: This might be an easy or a hard question, I don’t know. 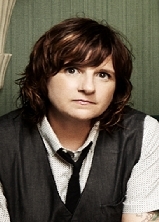 Do you have a favorite song that Emily wrote for the Indigo Girls? AR: [laughs] That’s a hard question. Because there are so many of them. [long pause] You know, it’s older and it’s classic, and I hate to say an older one because she’s written some great newer stuff, too. But I always think “Ghost” is one of her best songs ever. She just hit something lyrically and melodically that work together, and the images and the feeling in it. It’s a special song. JM: This might be as hard of a question. Do you have a favorite of your own songs? Or is that even possible to answer? AR: [laughs again] A favorite of my own Indigo songs… I do, actually, right now. This also changes all the time for both of us. 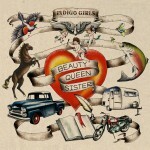 Right now my favorite song that I’ve written for Indigos is a song called “Share the Moon”, from Beauty Queen Sister. It’s a song that I worked on quite a lot. It came from me exploring my songwriting and working more on melody, and having some kind of unique guitar thing. So I was proud of it. But also it just summed up a feeling in a way that really worked for me. AR: We’re writing and we’re going to make a record in October, me and Emily. We’re using a new producer who I really love [Jordan Brooke Hamlin]. She produced Lucy Wainwright Roche’s last record. 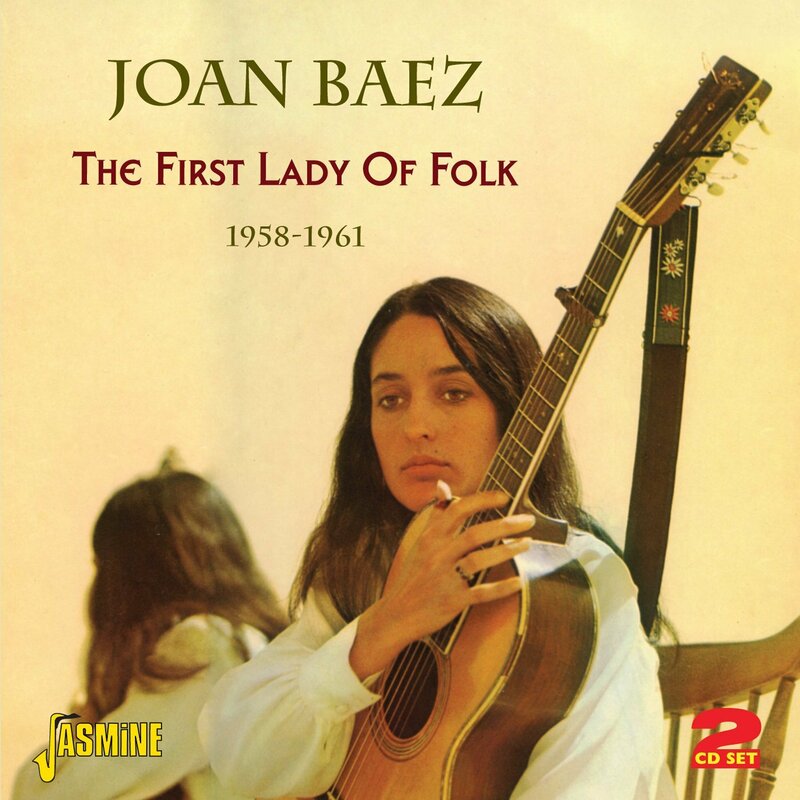 I mean, the style of that record’s amazing to me, but also it’s just what she was able to do with an artist that I had heard all of her earlier stuff. A great producer to me is someone that can just find that really special thing in an artist and pull it out of them, in a way that no one has done on the records before. That’s a good producer. So I think that she is really good at that. So we’re going to work with her. And she’s our contemporary. I think she’s a little bit younger than me. But it’s going to be exciting to work with someone new, and explore and get challenged and stuff. So that’s what we’re going to do. JM: Here’s kind of a random question. 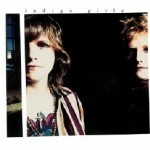 For the very first Indigo Girls album, you quoted Lou Reed in the liner notes. [“High energy does not necessarily mean fast. High energy has to do with heart.”] Of course he passed away not too long ago. Did you ever get to meet Lou Reed? AR: I did not get to meet Lou Reed. I had friends that played with him, so I got to hear about him a lot [laughs]. But I never got to meet him. I mean, some people I don’t want to meet, you know? Like Paul Westerberg. I’ve never met Paul Westerberg. He’s one of my favorite songwriters of all time. I don’t want to meet him, you know what I mean? I just want him to stay in this place in my psyche as this great songwriter. Not that he’d let me down. I’m not saying that I’d assume that Lou Reed or Paul Westerberg would let me down. But I’m just saying there’s some people I don’t need to meet them because I just want to study their songwriting kind of thing. And then there’s other writers that, of course, I want to meet… I feel like I have a way to talk to them and ask them questions about what they’re writing, you know? It just depends on the writer. AR: Yeah, exactly. I haven’t even met him in a dream, but one of these days. Amy Elizabeth Ray is an amazing person…. activist…. human being… woman…. musician…… fighter…. love spreader….. singer….. creator….. speaker…… person. If Amy ever reads this, know that people are genuinely moved by what you do.